Discover why our yards and gardens are essential parts of the ecosystems that sustain us and how we can use our residential landscapes to connect the isolated habitat fragments around us. 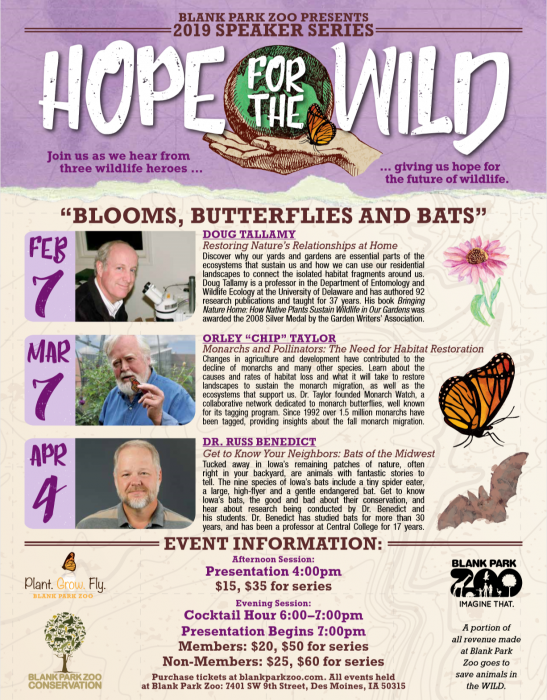 Doug Tallamy is a professor in the Department of Entomology and Wildlife Ecology at the University of Delaware and has authored 92 research publications and taught for 37 years. His book Bringing Nature Home: How Native Plants Sustain Wildlife in Our Gardens was awarded the 2008 Silver Medal by the Garden Writers' Association.